Vacqueyras enjoyed virtually flawless growing seasons in 2016 and 2015 and its producers responded by making wines of consistently high quality. 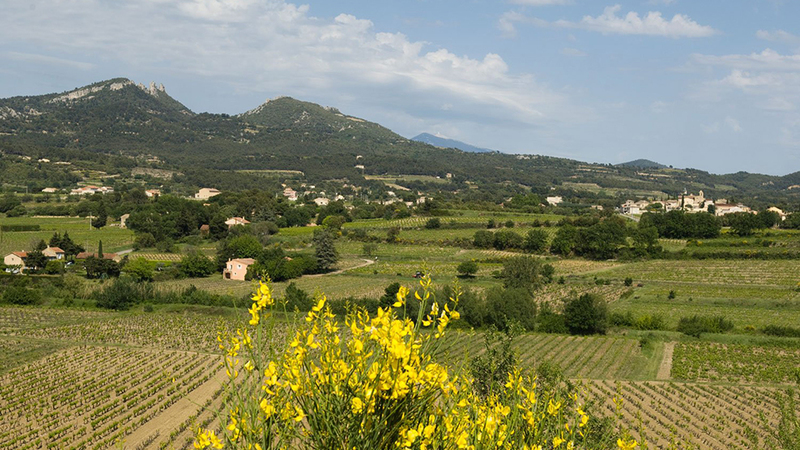 While prices have been steadily rising for current releases from neighboring Châteauneuf-du-Pape and Gigondas, pricing for Vacqueyras wines has mostly been holding steady, which is terrific news for wine lovers. While there are more similarities than differences between the 2016 and 2015 vintages in Vacqueyras, the latter vintage will gratify drinkers who gravitate toward exuberant, fruit-driven wines while the former will be better suited for those with more patience. Both years offer outstanding value: while prices have been steadily rising for current releases from neighboring Châteauneuf-du-Pape and Gigondas, pricing for Vacqueyras wines has mostly been holding steady. More important, the quality and consistency of the appellation’s wines, especially in these two outstanding recent vintages, have shown a noticeable upswing that easily outpaces any recent price hikes. To Drink or To Hold—or Both? 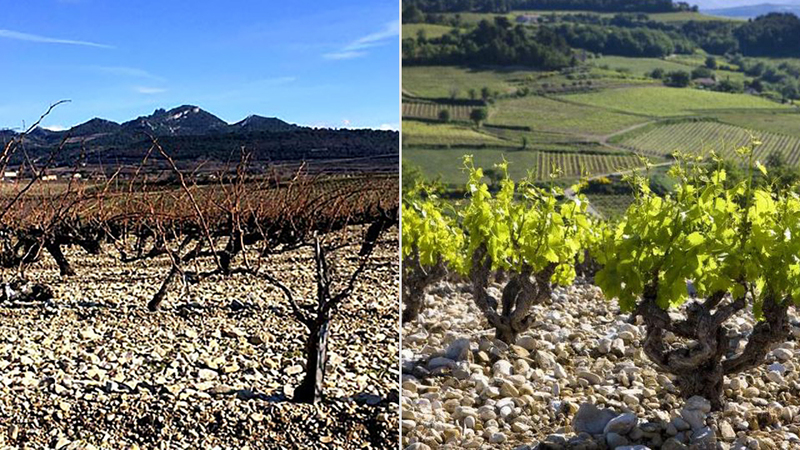 Both the 2016 and 2015 growing seasons in Vacqueyras were on the dry side, with high daytime temperatures. Not surprisingly, the resulting sets of wines have much in common. What sets 2016 apart is that nighttime temperatures were altogether cooler than in ’15, which means that the 2016s display a greater measure of freshness and energy than the 2015s. Tannins are generally rounder as well in the ‘16s, which is not to say that the wines are soft and overly cuddly. When tasted next to their stricter 2015 siblings, especially side-by-side, the differences between the two years are apparent, but on their own the ‘16s are nicely structured wines that are worth cellaring. As is the case across the southern Rhône valley, 2016 delivered a treasure trove of round, intensely fruity and accessible wines from Vacqueyras. Most of the wines here contain higher percentages of Syrah and Mourvèdre than do their counterparts in Châteauneuf du Pape and Gigondas, which tend to lean more heavily on Grenache. Thus, the typical Vacqueyras displays more structure and dark fruit character in 2016 than do the wines from neighboring appellations. That trait bodes well for patient drinkers who are willing to wait for the additional complexity that comes with bottle age, but most examples of 2016 Vacqueyras are lush enough to give abundant immediate pleasure. Two thousand fifteen is a slightly different beast. The ‘15s are proving to be highly concentrated, structured wines that possess the material to age gracefully. Be warned, though, that for the time being many of them are holding back their charms, even after decanting. It’s a hugely successful vintage for Vacqueyras but those who are inclined to pop corks before a wine’s fifth birthday are likely to wonder what the fuss is about, so a bit of patience should be the byword for most ‘15s. I tasted these wines, many of them twice, during my spring visit to Vacqueyras and through the summer and early fall in New York.